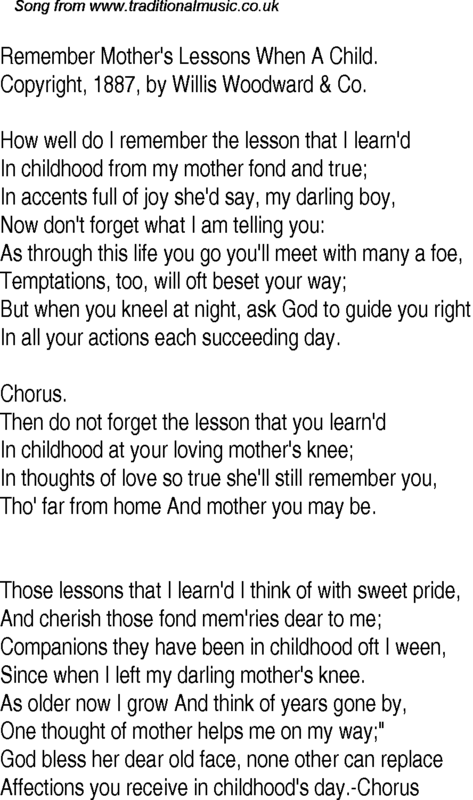 Remember Mother's Lessons When A Child. In all your actions each succeeding day. Tho' far from home And mother you may be. Since when I left my darling mother's knee. One thought of mother helps me on my way;"